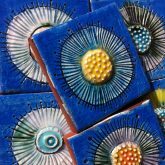 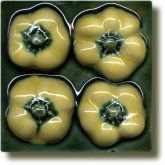 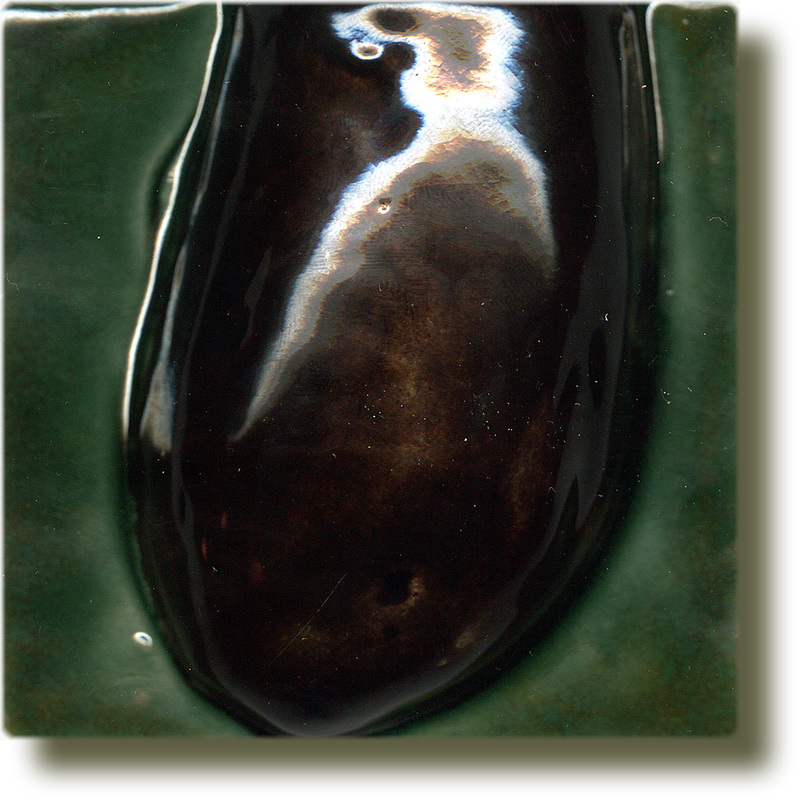 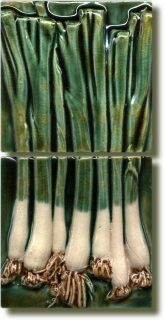 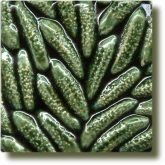 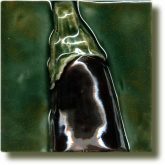 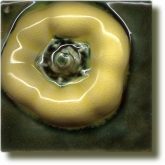 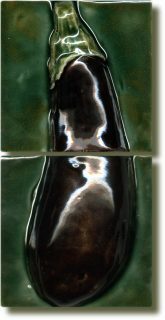 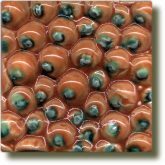 Hand made and glazed ceramic Aubergine double tile bottom. 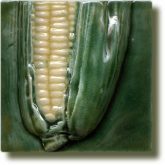 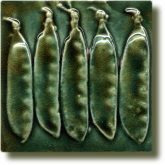 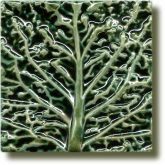 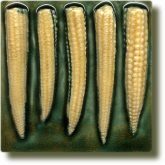 These feature tiles have a realistic quality because she uses casts of real aubergines. Angela's Aubergine double tile bottom is handmade and glazed in England using an Aubergine mould. 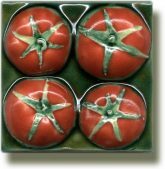 They have a realistic quality because they are cast from real fruit.